DCT and no manual option. Sure, makes sense if the point is fast 1/4 mile times and needing something to take all the torque. That being said, I wanted the Mustang I've got on order specifically to go back to a manual, just for the old school feel that I had in my 1970 Mach 1. Not sure I would have done it if there was just a DCT. Last edited by Zooks527; 01-14-2019 at 04:58 AM. ....so will it have a flat or cross plane crank? We'll find out later this week I'm guessing. Maybe the manual will come later, like what Dodge did with the SRT8 Challenger. IIRC those first came out with the auto only. Even with 7 gears I'm guessing the gearing will be long for traction purposes. 60 mph in first gear. 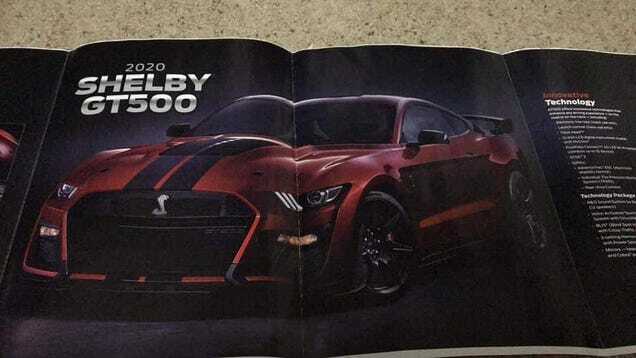 Says it's a new transmission but wouldn't be surprised if it's very similar to the unit in the GT. The text in the brochure shown in the article says cross plane. If a manual does get produced, hopefully it isn't a Getrag.